Lots of cars have engines rebuilt by a local auto repair shop. Whether it’s a classic that the owner’s not ready to let go of, a track car that was driven a little too hard out of the corners, or a commuter that simply deserves another chance. 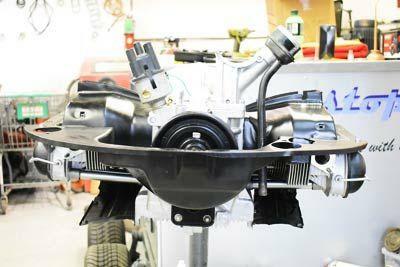 Engine rebuilding is an option that some don’t find practical, but the truth is that it may be beneficial in more instances than most drivers realize. For the most part, engine rebuilds are recommended when the piston rings are improperly seated or the engine bearings become worn. The crankshaft, rods, camshaft, valves, gear train, and pistons comprise the moving parts of an engine, and they are mounted on bearings which allow that motion. Damaged pistons or piston rings cause cars to burn excess oil, resulting in white smoke from the tailpipe. Without clean or proper amounts of engine oil, however, that motion is limited – quickly breaking down bearings and other metal components, leading to major restrictions within the engine. That’s why regular maintenance, oil changes, and leak checks are essential to extending (or, more likely, saving!) the life of an engine. Knocking or tapping sounds within the engine are the first indication of a worn bearing. And if not addressed immediately, the engine will undoubtedly suffer irreversible damage. So it’s important not to drive the car once the knocking starts. Again, in most cases, preventative measures such as regular oil changes will guarantee that this never happens. When the rings that seal piston cylinders break down, oil can leak into the cylinder. And when crankcase oil is burned with gasoline, it causes white or bluish smoke to escape from the exhaust, even when cold. This is what’s called a ‘blow-by’. 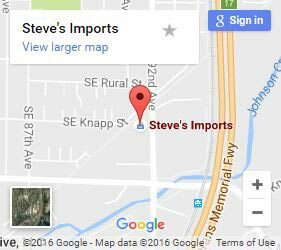 Before deciding on a complete engine rebuild, talk to your mechanic at Steve’s Imports to make sure that it’s the best option for your car. We’ll help you weigh the costs and benefits or a repair, swap, or rebuild by asking the right questions upfront. Does it have high miles? Damage? Are you planning on keeping the car or selling in the near future? A rebuild can save rare vehicles from the crusher or otherwise treasured cars from leaving your life before you’re ready. 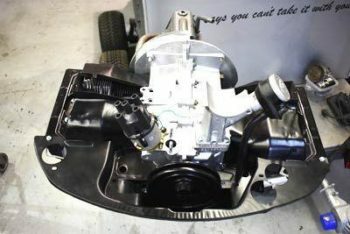 On most makes, we can perform a top end rebuild, an inframe rebuild, or a complete overhaul. What Happens During an Engine Rebuild? During a rebuild project, the lower part, or ‘short block’ of the engine is removed. It is then disassembled, cleaned, and inspected. Once the condition of the internal parts is determined by a specialist, either the pistons, rings, bearings, or all of the above, are replaced or reconditioned. The internal surfaces of the pistons are reconditioned so that the new rings form a tight seal. This is also a good opportunity to recondition the cylinder head. Once the internal work is performed, the engine is reassembled and reinstalled. If you think your vehicle might need an engine rebuild, be prepared for the time and cost of the project. Your Portland auto repair shop should have the numbers for you once they perform the inspection but be patient as parts need to be ordered, and in some cases, custom built. Another option is an engine swap – if a rebuild proves too expensive, sometimes exchanging your old engine with a used or remanufactured one is a more cost-effective choice. It can be an engine with similar performance features but fewer miles and in better condition. Stop by the shop today or give us a call if you have any questions about having your vehicle’s engine rebuilt in Portland!